I saw this picture posted by Runner’s World the other day, and I don’t think it tells the full story. It brought me back to my own back of the pack experience that I had when I was carrying a heavy pack and kettlebell in a race. I was more inspired by these people than I had been before by anybody else in the race. You see, a 12 minute mile and 6 minute mile may be just as far. That said, the person running the 12 minute mile is usually struggling, doing something they aren’t comfortable with, knowing they are running slow as other runners pass them. The person running the 6 minute mile is a good runner and while they may be putting in a hard effort, it’s something they love to do and even rejoice in the movement and effort. 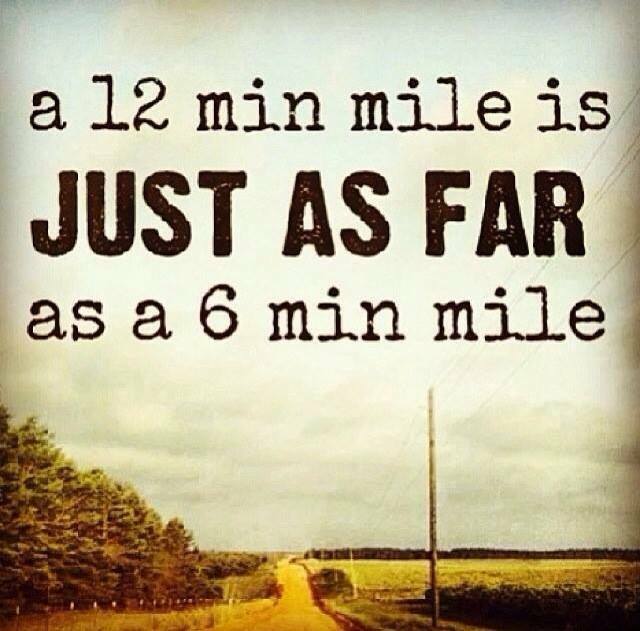 True, they are the same distance, but the 12 minute miler is suffering more. Not only that, but they are suffering for twice as long, and they are still out there doing it.